This bike caught my eye today at the Darby St Fair and it was a photo opportunity I decided I could not miss. Talking to is owner, he told me he bought an old frame from the Bike Ecology Centre and then bought the rest of the parts on eBay. He painted the frame himself and he described it as “pretty rough” but it looks good anyway and must have cost very little to build. Notice it is very minimal with no brake other than the fixed gears. He said he lives in town and does not ride on hills and using the pedals as brakes builds up his quads. The Bike Ecology Centre is a uniquely Newcastle place which advocates bicycle recycling and tips on how to cycle safely and offers weekly bike repair/maintenance services for free. 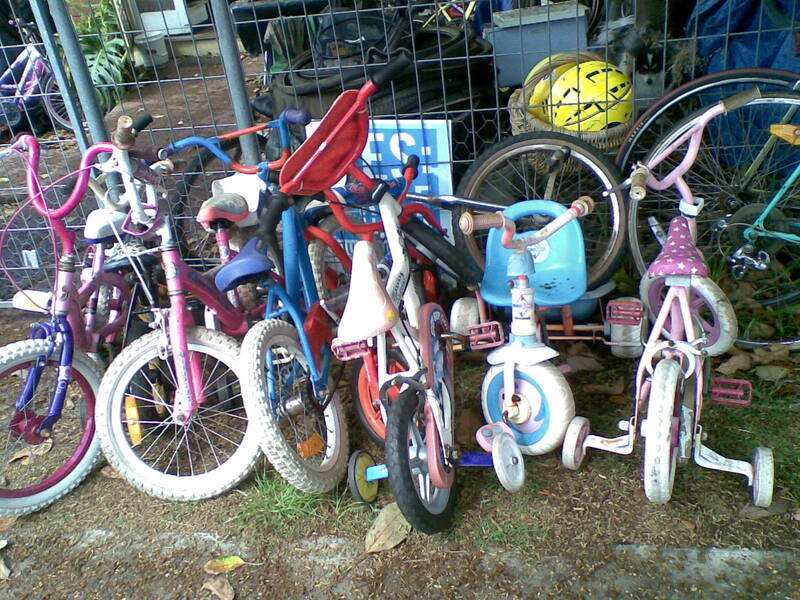 It has helped many Novocastrians to recycle bikes and promotes safe cycling practices in this town. 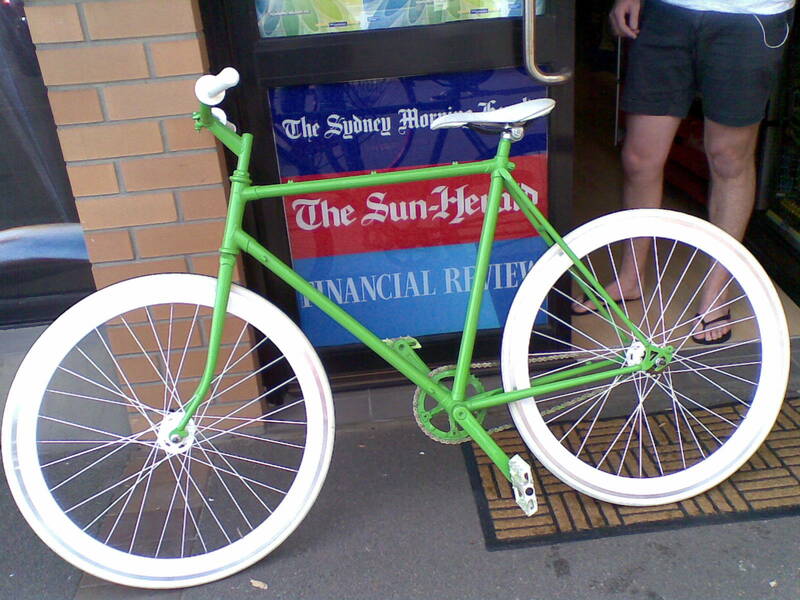 The fixie above is a great example of how its services can produce a very trendy bike at minimal cost. This entry was posted in Uncategorized and tagged bike ecology centre, fixie, vintage. Bookmark the permalink. I agree! Dan’s is a great initiative and is part of a long rinnung tradition of such grassroots services in Newcastle! 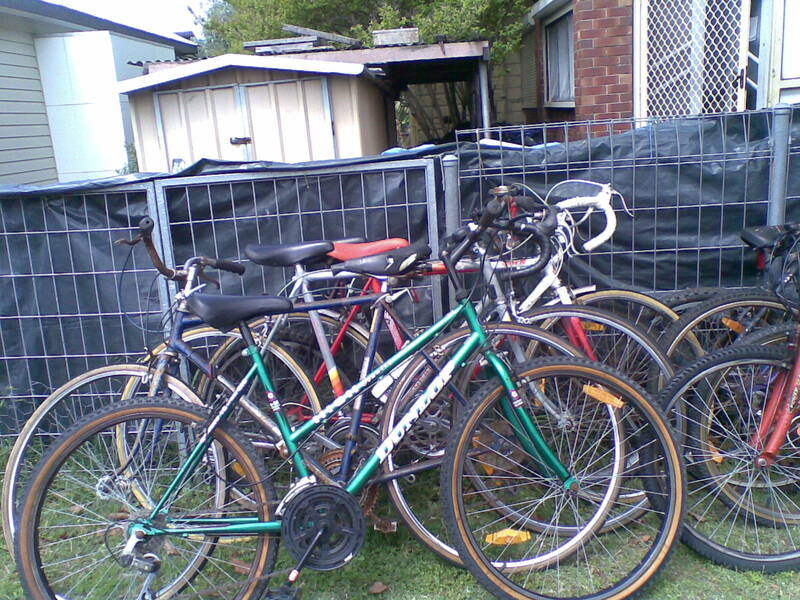 The bike co op in Melbourne is located at Ceres community garden centre . If any novos are wondering down there and unsure. That place is great!